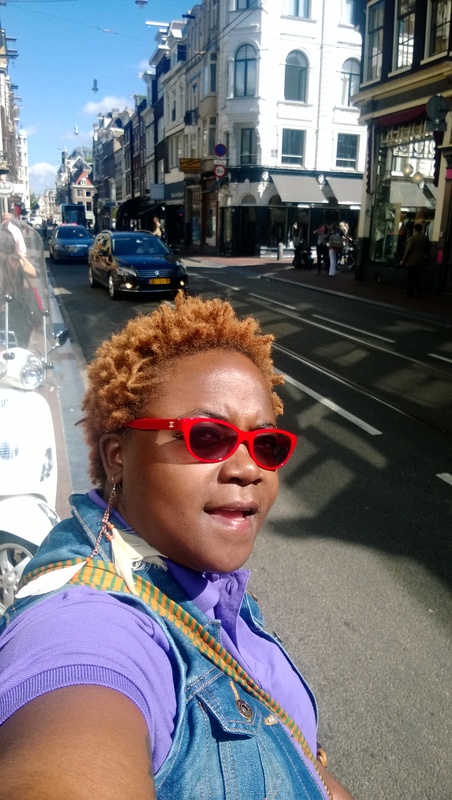 My first journey past the Schiphol Airport in Amsterdam and all I could see was chaos. Even though it was the most organized form of chaos you could ever encounter. Let me explain. As the van that picked us up ferried its way out of the highway and into the main streets of the squeaky clean city, I saw something like a sea of Black Mambas. For true! And not the snake; the bicycle! People were riding them everywhere! I know they are parked in the picture, but you have to believe me. Red ones, blue ones, white ones but mainly black ones, and there wain’t* no shame in their game. Short skirts, dresses, suits, boots; you can wear anything as you cycle there! 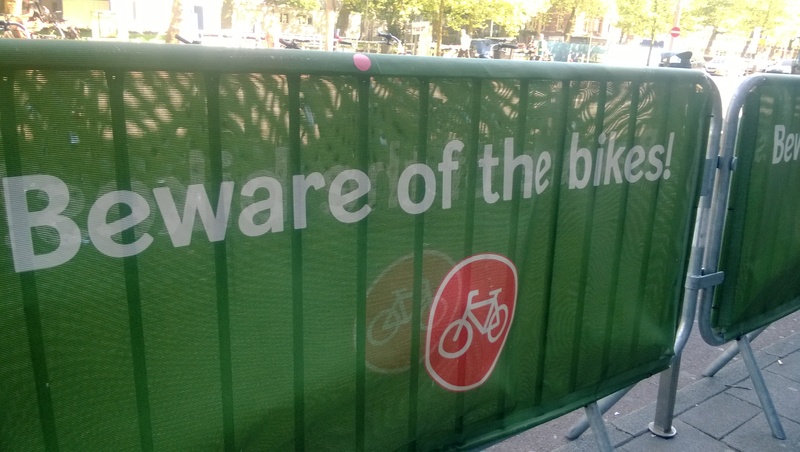 But if you are walking please STEP AWAY FROM THE RED LANE, or there will be an ugly as the bikes whiz past. It’s like Tour de Amsterdam! Everyone is composed but in a hurry. And to make matters more amazing, the same road has space for scooters, trams, busses, vans and some very fancy cars. They each know their lanes, and they – literally – stick to them. (Nairobi??). 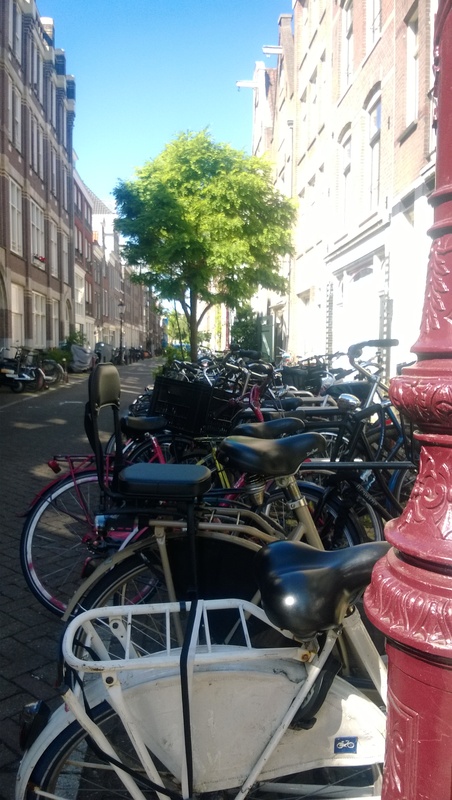 Amsterdam is a perfect tourist city, because around every corner there is something to discover. A shop full of cheese, the best orange juice, a park with interesting sculptures, an old cathedral with a story, art gallery after art gallery, paraphernalia sold in shops that give you a glimpse of the city’s character, and a Heineken Museum. Apart from tulips and the clogs, Heineken is way up there in the character and history of Amsterdam. With signs along every street and merchandise stamped in every imaginable way, it was no wonder that the Museum is packed for tours everyday. 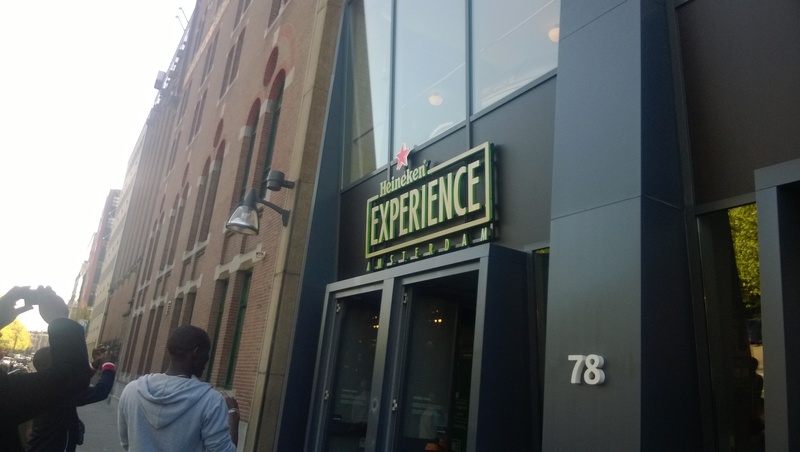 Doubling up as something of an amusement park, the museum tells the history of the Heineken family that started the company and reveals specific ingredients that have an exact science to ensure the brew stays the same all the time. 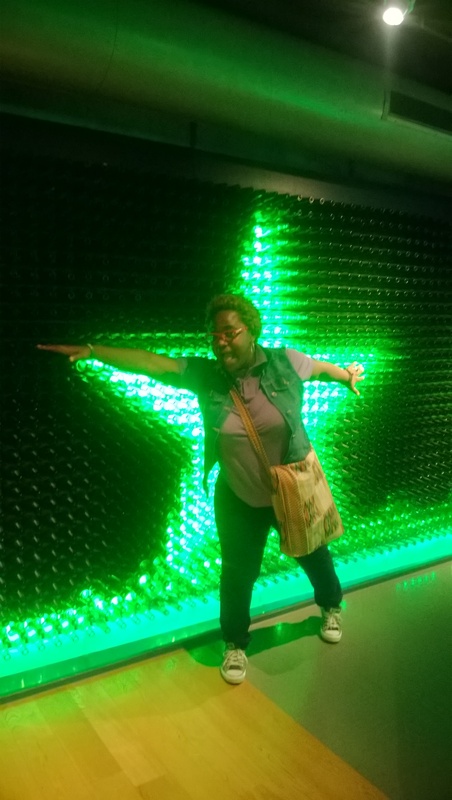 To spice up the fact-finding mission at the Heineken Museum, you also get the chance to be a DJ, be in your own music video and capture the spirit of the beer by being an actual bottle. True story. To me, it reaffirmed the fact that it is the simple things that give us the most joy. For instance on a boat ride along Amsterdam’s famous canals, it was common to see a couple sharing food from a picnic basket. Romantic. Also, biting into a succulent steak at the oldest of the famous Loetje chain of restaurants, cleaning out their chimichurri and laughing over a beer as the sun sets at 10pm. Fun. 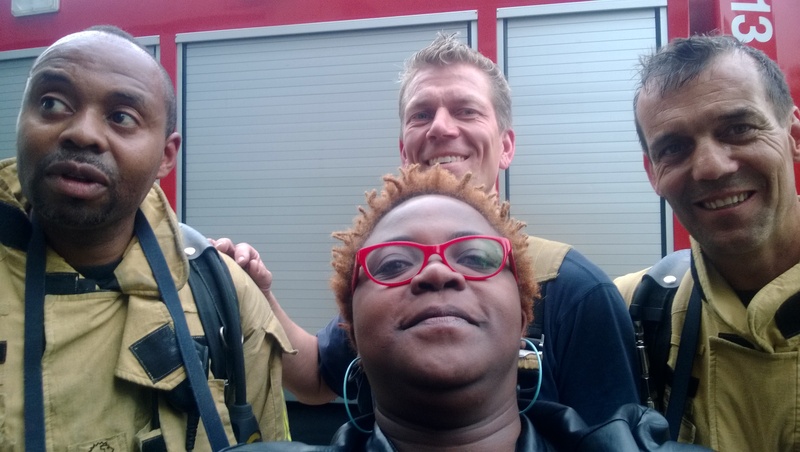 Then, hearing an alarm at the Notting Hill Hotel, rushing down the stairs and bumping into some real firemen who agree to take a selfie after eliminating the possible threat. Exciting. I am definitely ready to return for another adventure, and because like Nakuru there’s WiFi everywhere…Instagram nayo? I can’t believe I just said that. Have a fun day!